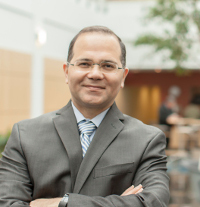 Atabak Royaee, PhD, is an associate director and senior corporate counsel, IP, at Boehringer Ingelheim Pharmaceuticals in Ridgefield, Connecticut. Royaee manages the firm’s patent portfolios in various therapeutic areas, drafts and prosecutes biologics patent applications, drafts legal opinions, assists in handling IPR proceedings, performs due diligence reviews, and provides counsel to business on licensing and transactional matters. He was previously an associate attorney at McDermott Will & Emery and LeClairRyan law firms and a postdoctoral fellow at Harvard School of Public Health and US Department of Agriculture.